Procon provides construction and program management services for the multi-year, multi-phase redevelopment of this 176-acre high security federal campus. 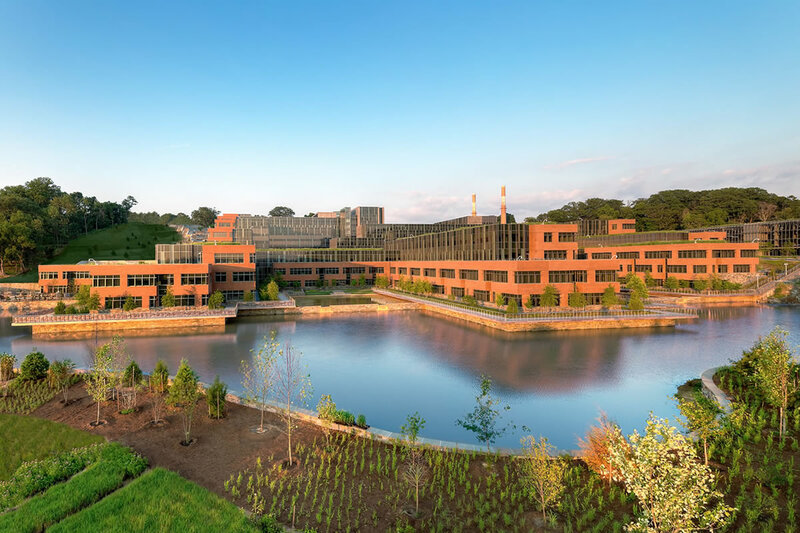 The $4.4 billion St. Elizabeths West Campus project consists of the redevelopment of the 176-acre west campus of the National Historic Landmark site located in southeast Washington, DC for the consolidated headquarters of the Department of Homeland Security. The redevelopment includes 4.5 million SF of new construction and adaptive reuse of approximately 50 historic buildings. The project includes the construction of a state-of-the-art security perimeter fence, an operations command center, technology integration program, furniture installation, move management, and site related infrastructure improvements including roads, central utility operations, underground utilities, landscaping, and related improvements. Phase One consisted of the 1.2 million SF U.S. Coast Guard Headquarters building a separate central utility plant, two seven-story parking garages and the rehabilitation of seven historic structures. Program oversight of design and construction program budgets and finances. Developed integrated master schedule that includes schedules for three A/E design contracts, and eight primary construction projects. Design management support including design review, control of design revision updates, development of design scopes of services and assistance in the negotiation of design fees. Managed change orders, RFIs, document management, meeting minutes, daily reports, and implementation of the ePM system. Coordinated data for reporting earned value and performance measures, status of project costs and schedules, and related issues. Provided program budget and financial support for over $1.34 billion in contracting activity. Primary coordinator for utilities construction and site infrastructure upgrades.